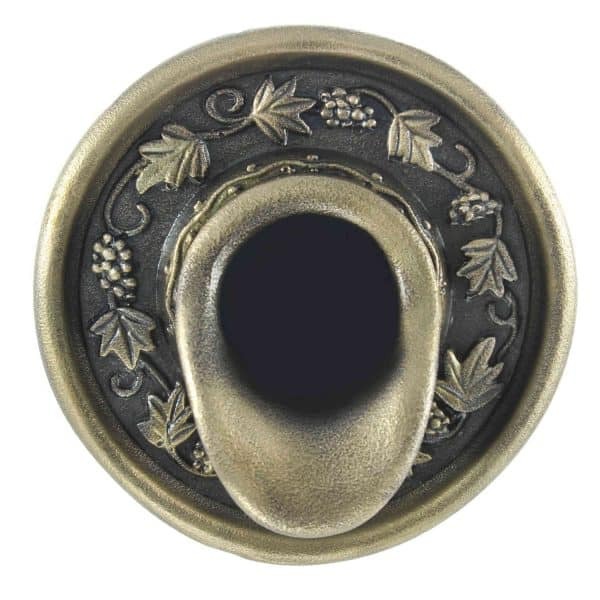 The style and décor of the Napa Valley shares influence with the centuries-old Mediterranean, Italian and French countryside. 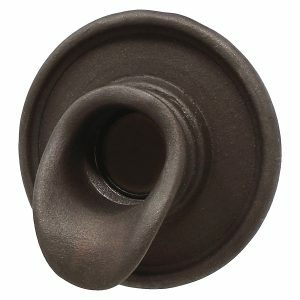 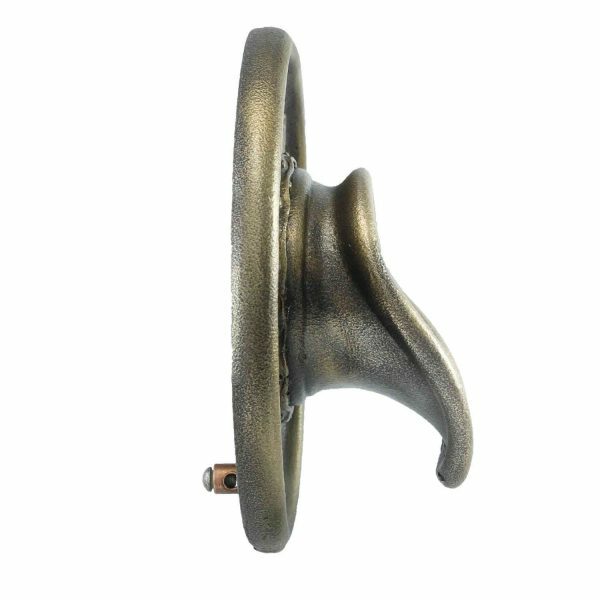 The Napa Scupper is a wall mounted spout with a short projection from its face. 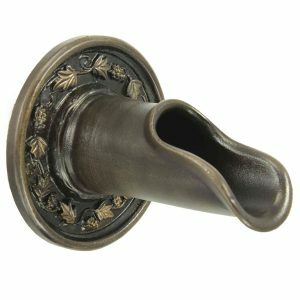 This particular scupper is designed for use with a small wall mounted fountain bowl like the triple scupper bronze half bowl, 17-inch Regency bowl with scupper, 24-inch Regency bowl or cascading into a low volume basin. 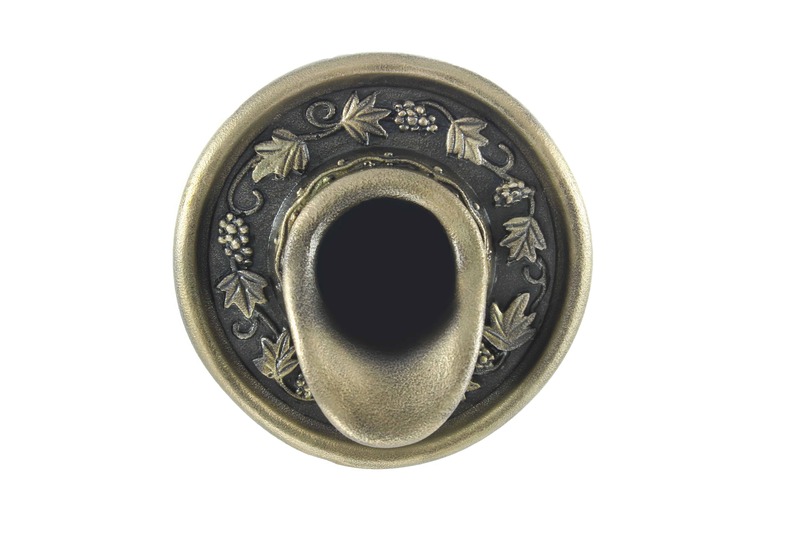 The wine region’s rolling hills and expansive vineyards inspire the intricately detailed vine and grape carvings on the backplate. 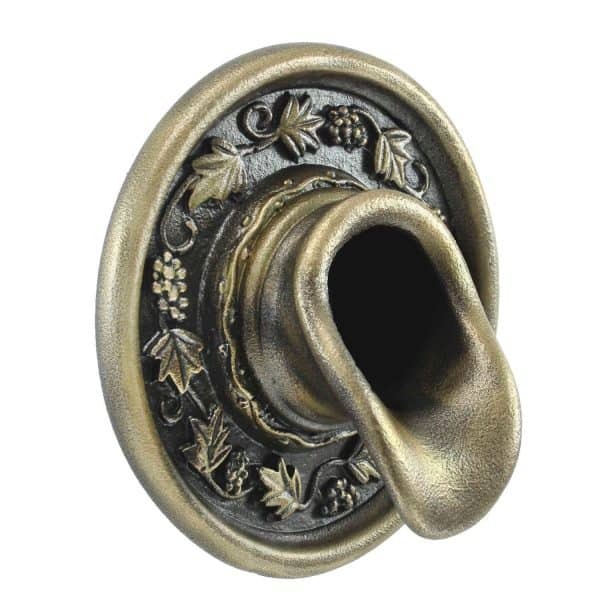 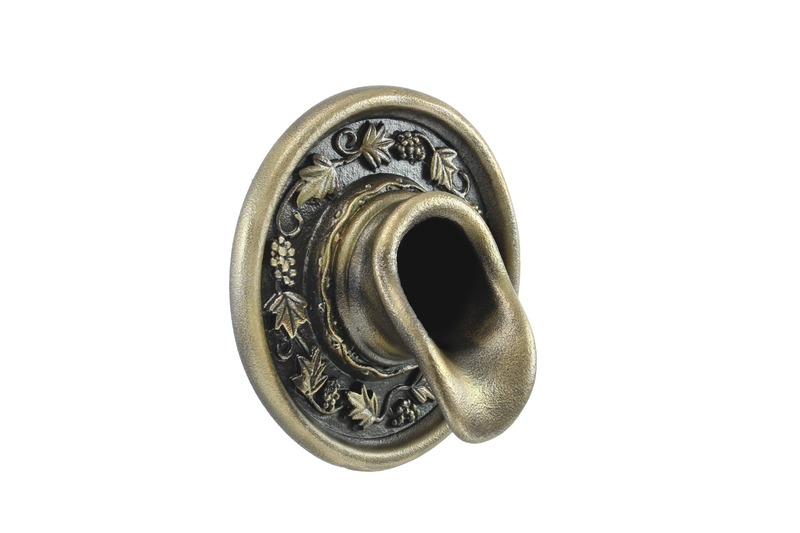 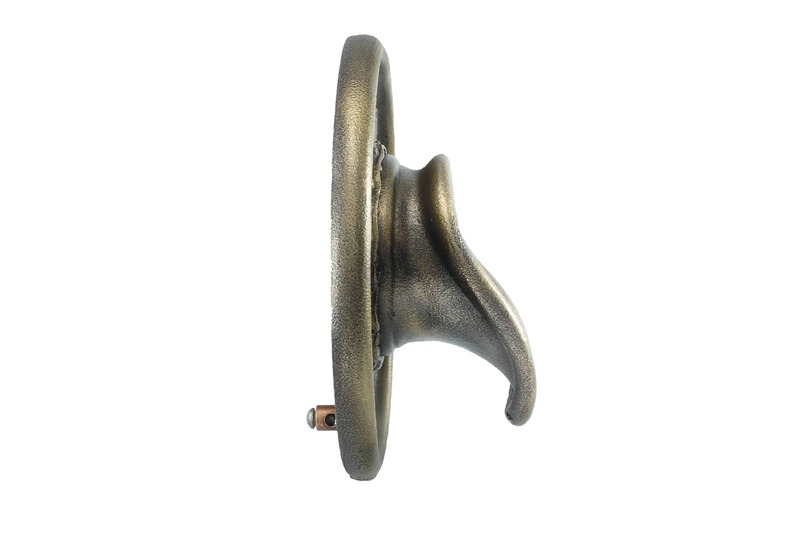 The Napa Scupper is striking in antique brass finish since it highlights the backplate’s detailing.